Our 1st oil powered permanent haircolor for brilliant color and visibly healthier hair. 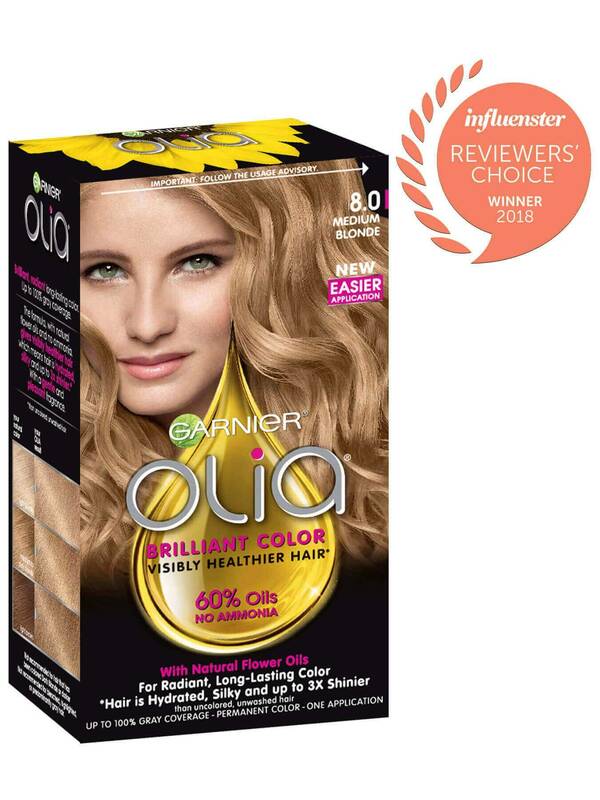 Garnier Olia shade 8.0, "Medium Blonde," is a natural blonde shade that will allow your natural tones to show through and will provide 100% gray coverage. 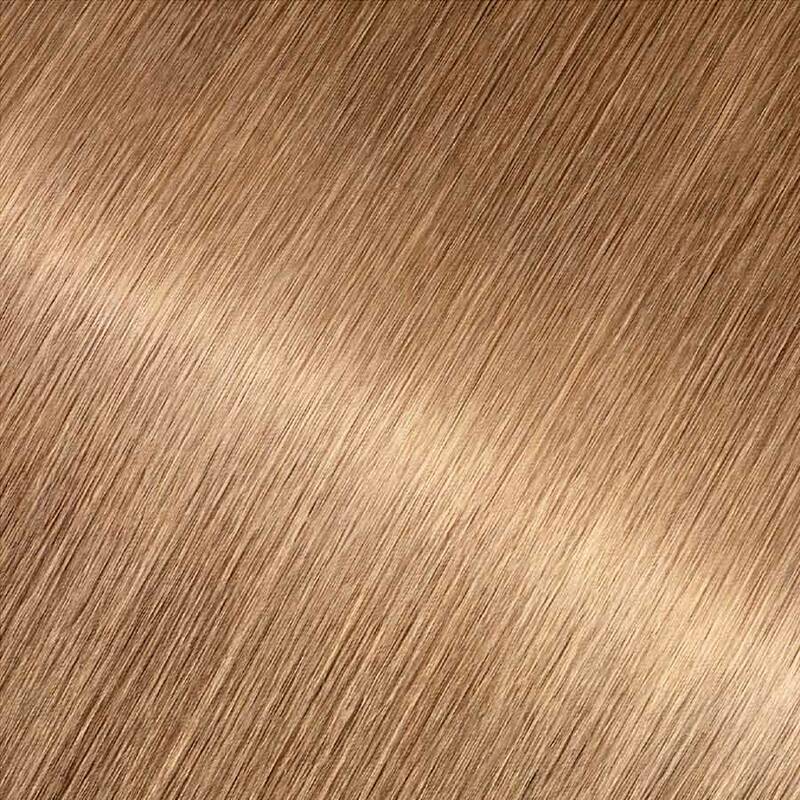 Shade 8.0 is best for anyone with natural hair between light blonde and light brown. If you would like a lighter shade that still reflects naturally, shade 9.0 might be for you. If you would like to remain in the medium blonde range but would like to explore other reflects and tones, explore shade 8.31 or for a slightly lighter shade, try 8 1/2.03. *For women with currently color treated hair, there are special considerations for the color result you can achieve. Because of this, we do not recommend shade 8.0 for hair that has been previously colored shade 6.0, "Light Brown," or darker. For more help, use our Shade Selector Tool to find the perfect shade for you! Rated 5 out of 5 by melissat0cbe from I usually use LOreal Excellence, but I thought I would give this one a try. It went on as a thick cream, which I prefer so its not dripping everywhere. I also liked that it didnt have a strong smell. I have blonde hair that tends to draw red, so sometimes when I pick a warmer blonde my hair gets a little brassy or if I pick a cool blonde my hair gets a little green, so I went with a neutral blonde and Im quite pleased with the results. I suspect this will be my new go-to box color. Rated 5 out of 5 by allibrooks27 from I use this to dye my hair black at home and it covers my roots perfectly. I dye every 4 weeks and I haven’t noticed any damage to my hair!The conditioner that comes with this is AMAZING!! Rated 5 out of 5 by namratad1 from My hair somehow feel less damaged when i color that with this product. I always dye my hair myself. And i always prefer any garnier hair colors because there oil infused concept. 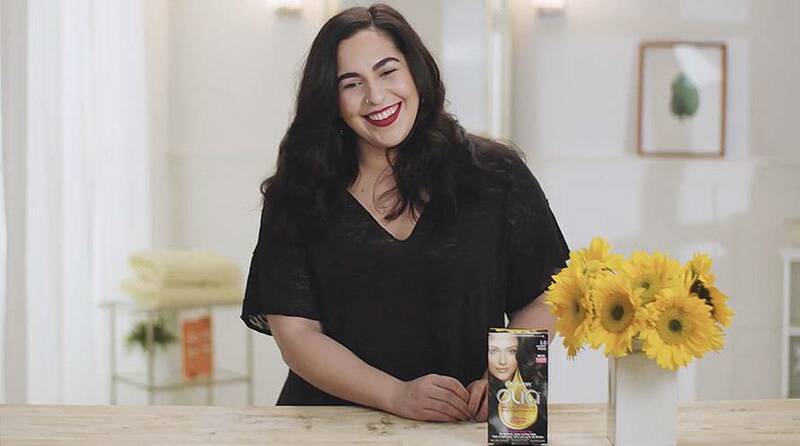 Rated 5 out of 5 by angelah4 from I love Garnier as a whole and there Olia oil powered permanent hair dye is no let down, my hair feels softer and shinier then before dyeing it and the smell and conditioner are amazingly good as well ! Rated 1 out of 5 by Jaynina83 from Not good time and coverage I bought this hoping it wouldnt look orange or red but it did turn out that way! So sad but what I think I'll need to do is try dark blonde if anything. I have highlights on the bottom/ ends of hair. The color of my natural hair is brunette and my stylist usually applies a medium brown level 8 or 7sh...coming out to ve an ombre affect. But I wanted to give my hair a rest from the bleach and tried this out. Wouldnt reccomend to a friend and if your hair is already on the brassy side DONT try this it will only bring out the oranges etc more. Rated 5 out of 5 by christinavb062 from I loved how soft my hair feels after using this product. There isn't a strong odour and it's very easy to apply.